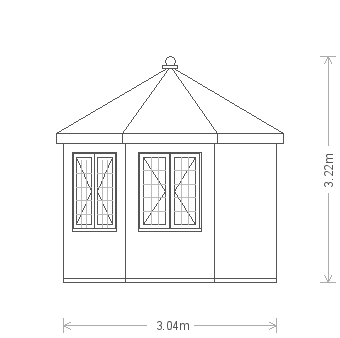 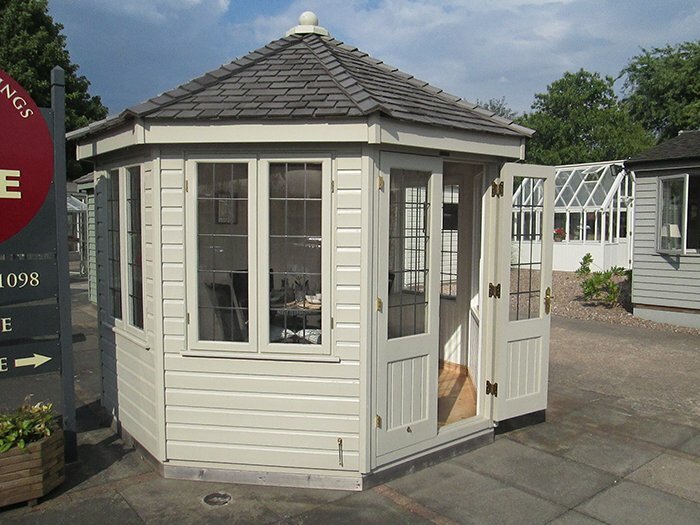 Options: Our entire range of Summerhouses are designed and hand-built in our Norfolk factory using FSC® certified timber. 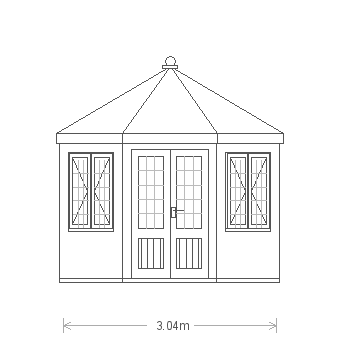 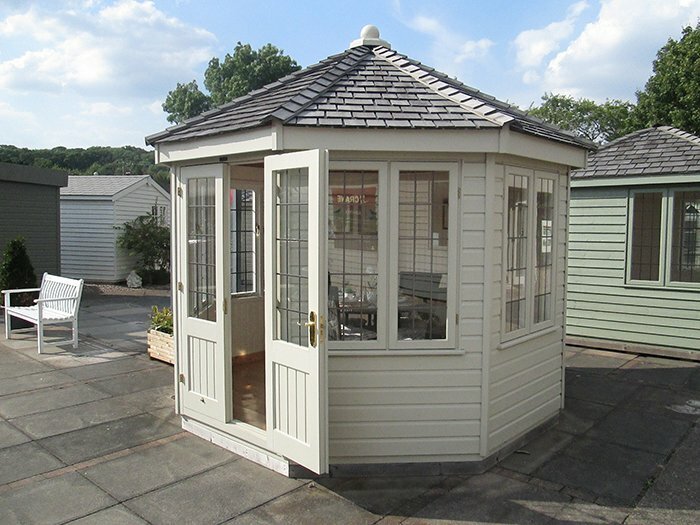 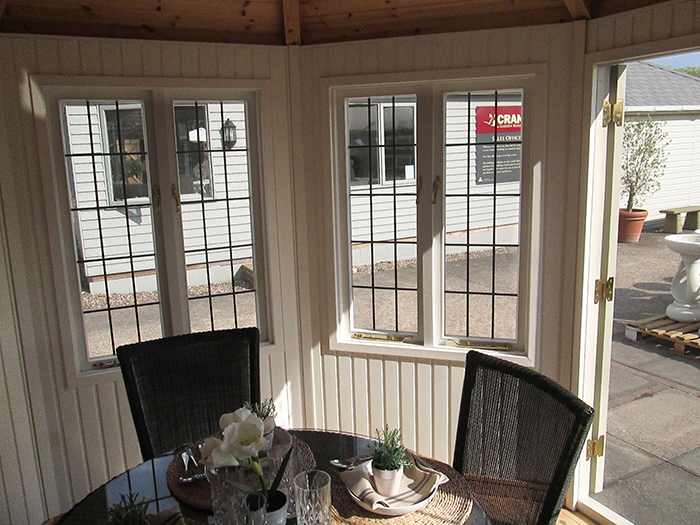 This building is the 3.0 x 3.0m Wiveton Summerhouse and it features internal insulation in both the walls and ceiling with solid pine painted matchboard lining in Ivory for a bright feel. 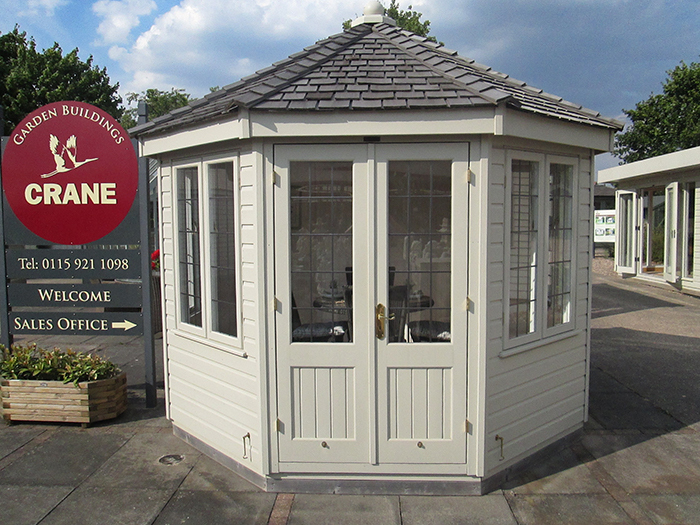 The exterior of the building is clad with smooth shiplap and painted in Farrow and Ball's shade of Old White, which will not only preserve the timber, but also protects against fungus and woodworm. 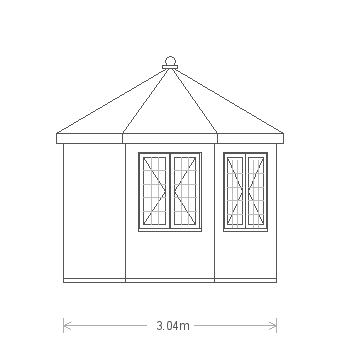 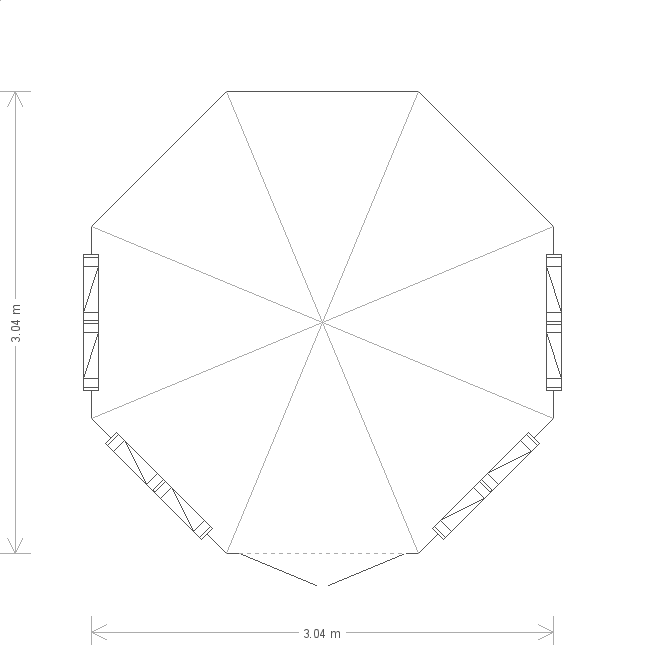 The distinctive octagonal roof is also covered with cedar shingle tiles and the four sets of opening windows are leaded for a traditional feel. 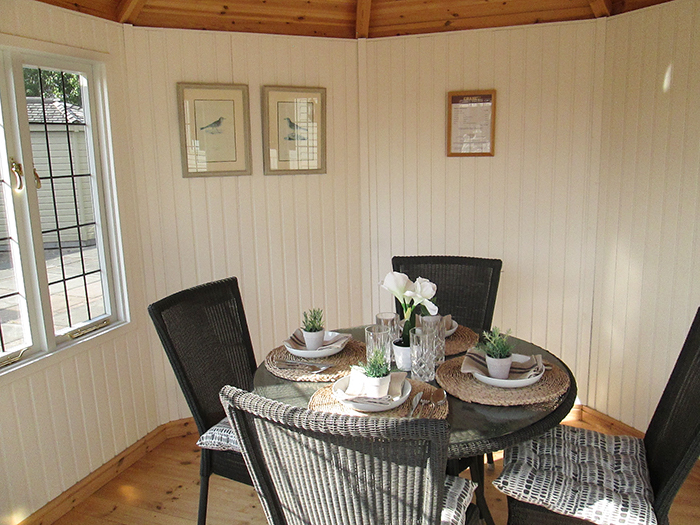 This show building has been decorated as a dining area, to offer inspiration for how our customers could use it and show what could be done in the available space. 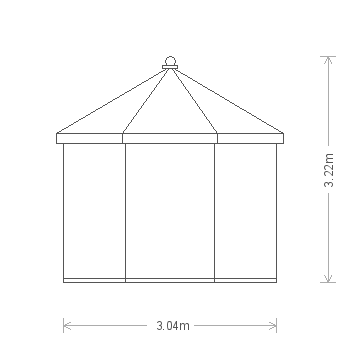 Please note: due to the amount of people who walk in and out of all our Ex Display Buildings it is likely that there are scuffs and marks on the floors.